Should I Set Up a Charity? The first step of the process is to consider whether you should set up a charity at all. Running a charity involves significant responsibility – both in terms of legal compliance and moral duty of care. There are a number of things to carefully consider before starting the process. Start by considering the purpose of your proposed charity. Do you have a clear objective and is it for the public benefit? Further to that, does it fall into one of the Charity Commission’s 13 charitable purposes? If not, then setting up a charity is probably not the right option for you. Alternatives include Community Interest Companies (CICs), Community Benefit Societies, Community Amateur Sports Clubs (CASCs), or unincorporated associations. If your purpose and objectives are charitable, then setting up a charity might be appropriate. However, it is possible that there are already charities working towards a similar goal. Consider whether there are more effective ways to invest your time and energy; setting up a brand-new charitable organisation is not always the best option. Working in partnership nearly always has more impact than working individually as it achieves economies of scale and a wider reach, and avoids duplication of effort. Every organisation has a purpose – the goal that it sets out to achieve. The purpose of a charitable organisation must be for the public benefit. The Charity Commission sets out 13 purposes which it recognises as being valid, charitable objectives. When you apply to register a charity, the Charity Commission will determine whether your purpose falls within these categories. A charity’s purpose(s) must fall into at least one of these categories, and they must be solely charitable; there can be no private benefit. You need to carefully consider and define the purposes of your organisation before you begin to register your charity. They should clearly state what your charity intends to achieve, exactly how it intends to achieve this, and who it will benefit. It can be helpful to consult a charity lawyer to ensure your purpose fulfils the necessary criteria. There are a number of different structures available to charitable organisations. Your choice of structure will be determined by the objectives, activities and governance arrangements of the charity. Each option has its own advantages and disadvantages. Thought needs to be given to the present and future requirements of your charity to ensure the most suitable structure is chosen at the outset. Please refer to our publication ‘A Guide to Legal Structures’ for more detailed information on different types of organisational structure. Every charity needs a board of trustees to govern and guide the charity in achieving its objects. Although the charity may have a team of paid staff, the trustees will make decisions about the charity’s policies, objectives and strategies and are ultimately responsible for the charity. A trustee board should have a minimum of 3 people, who between them cover a wide range of skills and experience. The trustees should be independent, and should not have any beneficial interest in the charity. The Charity Commission has strict guidelines on remuneration received by trustees. A trustee cannot normally be a paid employee of the charity. Under certain circumstances a trustee may receive remuneration for services provided in a professional capacity, but this must be permissible under the charity’s governing document and may need Charity Commission consent. Please refer to our publication ‘A Guide to the Role of a Charity Trustee’ for more detailed information on trustee responsibilities. The charity’s name should not be too similar to the names of existing organisations. This will help to avoid confusion and will reduce the risk of trade mark or copyright infringements. You can search both the Charity Commission and Companies House registers to review the names of existing organisations. The charity’s name should not use misleading language or make unsubstantiated claims. For example, it would be inappropriate for a local charity to use the word “national” in its name as this would imply it operates across the country when it does not. When you register the charity, you must also list any alternative names that the charity will work under, for example trading names or acronyms. The charity’s governing document is a legal document. It explains the purpose of the charity, how it intends to fulfil that purpose, and how it will be run. It should include specific rules on what it is permitted to do. It will also contain guidelines on trustees, including how they are recruited, appointed and removed, the minimum and maximum number of the board and how often board meetings will be held. Trustees must have a copy of the document and should refer to it regularly. The format of the governing document will depend on the type of legal structure you have chosen. The Charity Commission website offers model governing documents and template structures for you to follow to ensure that you cover all necessary issues. It is advisable to engage a solicitor to draft or review your governing document before it is submitted to the Charity Commission. Charities will need their own bank account. The bank account should be in the charity’s own name, and should be separate from the trustees’ personal or business accounts. Ideally the bank account will be opened before the charity registers with the Charity Commission (the Commission asks for the charity’s bank details as part of the charity registration process). However, some banks will not open a charity bank account without a registered charity number. Online banking services, and compatibility with cloud-based accounting software (if applicable). Bear in mind that opening a bank account can take a long time, and the trustees may be required to visit the bank in person with photographic identification. All CIOs must be registered with the Charity Commission, regardless of their level of income. Other charitable organisations (e.g. charitable companies and unincorporated charities) must register once their annual income is at least £5,000. You will need proof of this, either through bank statements, annual accounts or formal offers of funding. Scotland and Northern Ireland have their own charity regulators (OSCR and the Charity Commission for Northern Ireland respectively) so, depending on where your charity operates, you may also need to register with more than one charity regulator. The rules at OSCR and CCNI differ slightly to the Charity Commission in England and Wales, so ensure that you check these carefully. Once your registration with the Charity Commission has been confirmed, you should register your charity with HMRC. This will ensure that HMRC is aware of your organisation’s charitable status and will not ask you to submit corporation tax returns. It will also enable your charity to claim back Gift Aid on donations. The reporting and accounting requirements will depend on the legal structure and size of your charity. However, all charities must keep an accurate record of their income, expenditure, assets and liabilities. Small charities may wish to keep things simple by recording income and expenditure manually or using spreadsheets. Larger charities will probably want to use accounting software or may wish to outsource the bookkeeping function. CIOs (regardless of their income level) and unincorporated charities with annual income of more than £25,000 must submit annual accounts to the Charity Commission within 10 months of their financial year end. The accounts will be prepared on either an accruals basis (income over £250,000) or a receipts and payments basis (income below £250,000). The accounts must be subject to an independent examination if income is over £25,000, or an audit if income is over £1m. They are also required to submit an annual return to the Charity Commission within 10 months of year end. Charitable companies must submit accounts to both the Charity Commission (within 10 months of year end) and Companies House (within 9 months of year end). Charitable companies must always prepare their accounts on an accruals basis. The same independent/audit thresholds apply (see above). An annual return must be sent to both the Charity Commission (within 10 months of year end) and Companies House (annually on a fixed date). 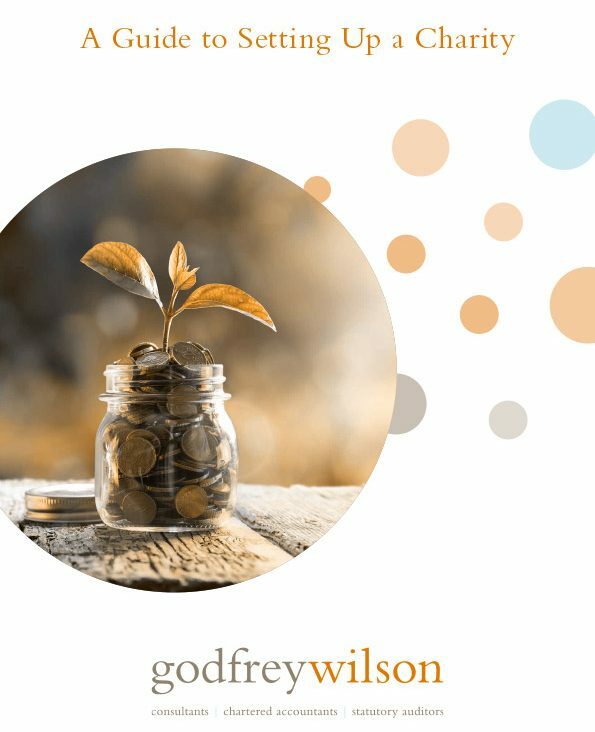 The Charity Commission has published templates for the preparation of charity accounts to make it easy and cost effective for small charities to prepare their own accounts. Whilst this may be appropriate for very small charities, given the complexity of charity accounting, it is usually advisable to engage a charity-specialist accountant to prepare your charity’s accounts. Employing staff comes with an additional set of responsibilities and regulations, and we suggest you take legal and/or professional HR advice before doing so. If your charity intends to employ staff you will need to register with HMRC as an employer and set up a payroll scheme. Further information can be found in HMRC’s guidance on PAYE and Payroll For Employers. Remember that trustees cannot normally be paid employees of the charity. It is a common misconception that charities are exempt from VAT. Charities must register for VAT if their taxable income exceeds the VAT registration threshold in any 12-month period (currently £85,000). Charity VAT is a detailed and complex area, and each income stream needs to be considered individually in order to establish whether VAT registration is necessary. Further information can be found in HMRC’s VAT Notice 701/1: How VAT Affects Charities. We strongly recommend taking professional advice at an early stage to ensure the charity’s VAT position is fully understood. There are restrictions on the amount, proportion and nature of trading activities that can be carried out by a charity. If your charity intends to carry out non-primary purpose trading activities, it may be necessary to set up a trading subsidiary. Further information can be found in HMRC’s guidance on Charities and Trading.